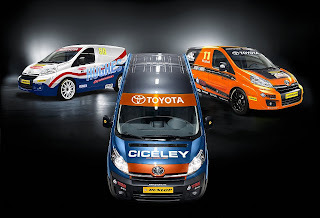 At the opening round of the British Touring Car Championship yesterday at Brands Hatch, news seeped out of the proposed new British Touring Van Championship. 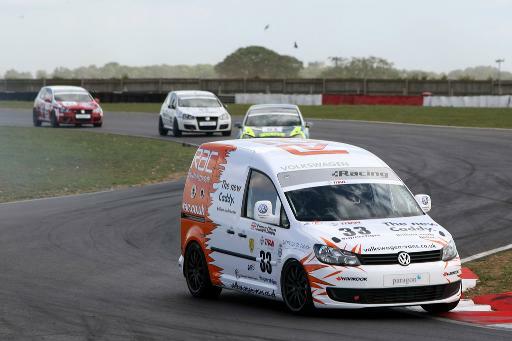 Following on from the success of Volkswagen’s Caddy Racer in the Volkswagen Racing Cup over the past five years, there has been much talk of introducing a racing series purely for commercial vehicles. Apparently some of the VW saloon cars racers don’t like getting gubbed by a box on wheels! Anyway, the real impetus for this new idea has come from Toyota who will debut their brand new Hi-Ace replacement, the Toyota Proace at next week’s Commercial Vehicle Show in Birmingham. 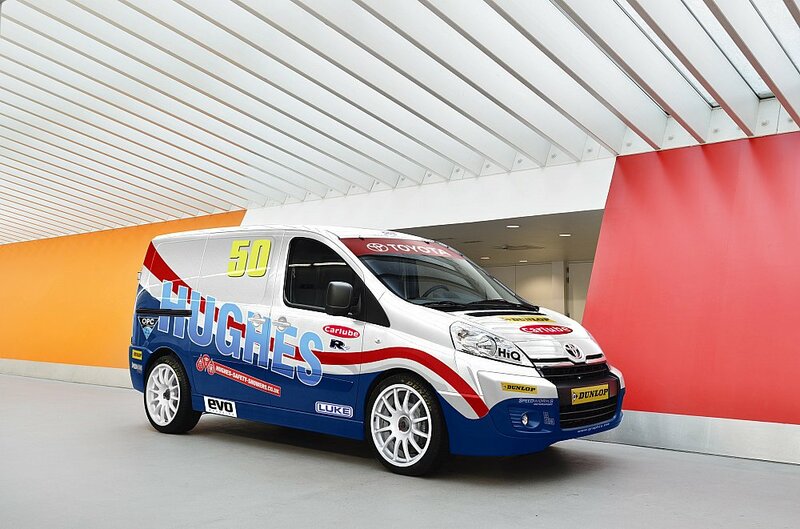 Already three Toyota dealers have jumped at the chance of racing in the new series and took the chance at the weekend to show off race-prepped vans machines in full team livery. “The Touring Van Championship is just the kind of cost-conscious racing Britain needs,” said championship spokesman Gideon ‘Gig’ Gleman. The first full speed outing of the Proace vans will take place at the Nürburgring later this month when they contest the Lastkraftwagenpokal meeting around the legendary circuit’s Flair Loop. With the first British race planned for July, Toyota are planning a big reveal at a BTCC event where they will join the Avensis touring cars in the British Touring Car Championship for one of the rounds. The cars will be rebranded Avansis as a one-off tribute for this debut. “Volvo raced an estate car back in the ‘90s, so we see it as a natural evolution of touring cars to embrace vans as a holistic, 360-degree engagement with stakeholder behaviours. If you want inclusivity in British motorsport, count us in!” said Gleman. “Toyota has a fine history of truck racing in America – even Kimi Räikkönen has been behind the wheel of a high-speed Tundra pick-up – so the sky’s the limit,” added Gleman. Toyota will reveal more news about their racing line-up soon, or not! Rally - Freedom of the Press?